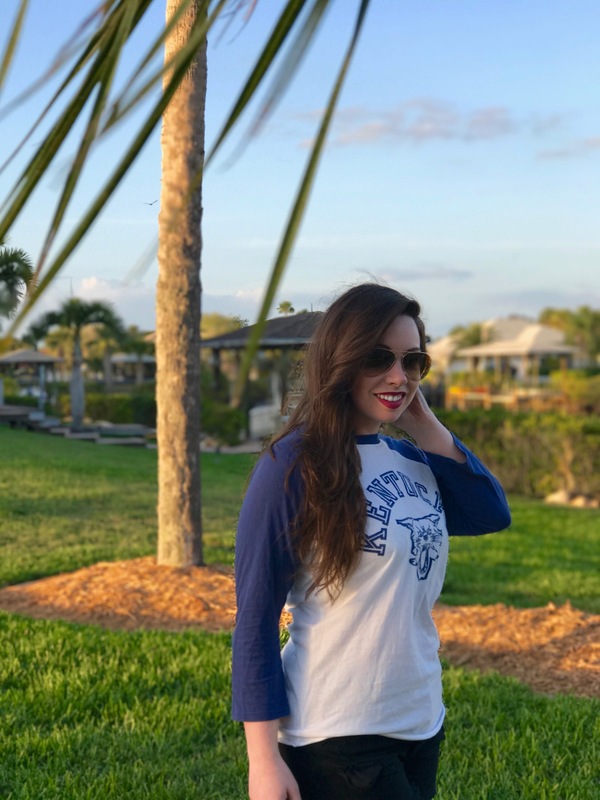 Spring breakin’ in my favorite baseball tee. What makes this outfit even better might you ask? A win from the CATS, that’s what. Give me a comfy tee, some cuttoffs, my birks and I’m good to go. When you’re from the greatest state there is you have to represent your team, even from afar! These birks are so comfy. Bless up! My favorite kinda addition to an outfit is something comfortable. The tee is right up there with the birks in comfort as well.. AND it is so stinking cayuteee! 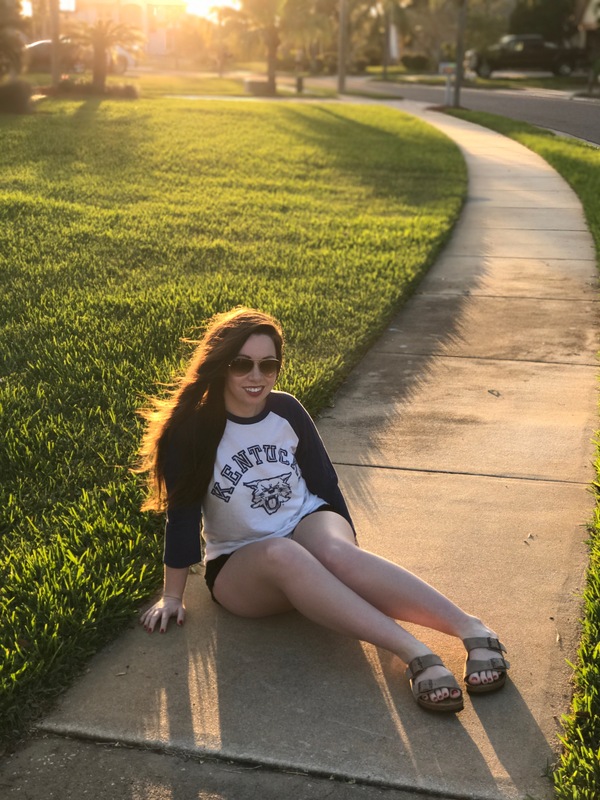 Nothing says I’m a crazy CATS fan like an adorable original design from @shoplocalkentucky. I could literally buy the whole store. If only, if only! Anyway– outfit deets are linked below as per usual! Get to shopping and get yourself gameday ready for March Madness. (A basketball lovers dream month) Happy Shopping, and GO CATS!